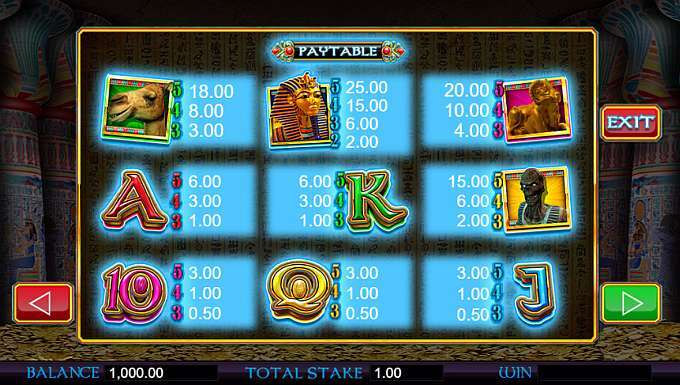 On Wizard when we think of most casino slot games that take their inspiration from the Ancient Egyptians, we rarely think of any that have a slight horror element to them. 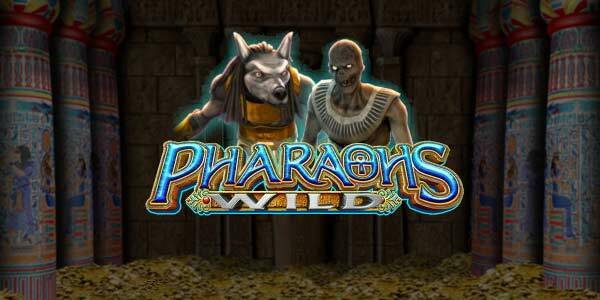 Well, Pharaoh’s Wild is one of the few Egyptian games that will send a shiver all the way down your spine. You’ll have to venture into the mummy’s chamber to try and discover all of the treasures that the Ancient pharaoh was buried with. But will you be able to escape with your life...? The UK-based Storm Gaming have really thrown us a curveball by adding some horror to their Egyptian-themed game. Known for all of their arcade-style games, the developers now have an amazing 5,000 different products and games platforms in their portfolio. As a result of having such a vast catalogue of games, they’ve managed to create games based on unique and varied themes, all of which are completely different from the others. We have from Storm Gaming here on Wizard Slots! So, discover slot games online today! Once you get into the centre of the tomb, two eerie characters will be there to greet you. An undead mummy and the god of the dead Anubis await you as if they have been expecting you, and they certainly won’t give up the tomb’s treasures without a challenge! So, you’ll need to spin your way to victory. You’ll meet them in one of the tomb’s rooms – you might notice all of the coins that cover the floor. Ready to try and win them? Experience and learn why this is considered the best new video slots today! There are just five reels and twenty pay lines between you and the jackpot. The usual letters and numbers represent the lower-value symbols, and picture symbols are the higher ones that you need to align. The picture symbols are all inspired by Egyptian culture, including camels, Sphinx heads and golden statues. There are also some special symbols and features that you’ll need to be aware of. · WILD SYMBOL – Look out for the snarling dog as that is the game’s Wild. It replaces every other symbol and triggers certain features. · FREE SPINS – If you spin three or more Wilds, you will be granted Free Spins. As long as you keep spinning a Wild during a Free Spin, then the extra spins keep on coming! · FLOATING BONUS – Get all of the same symbol along the first reel, the symbols on the reel will be copied and could land on another line. This will increase your pay-out. · MUMMY BONUS – There’s no way of knowing when this feature will occur as it’s completely random. The mummy symbols will come to life and drop new symbols on current ones, which can increase the pay-out.